We are today living in a world where people prefer to ask Google about pretty much anything they want to know. This means that a simple 2-inch ad on top of your Google search result typically works far better in terms of your car dealership marketing efforts than the huge signboard in front of your car shop. Traditional ways of doing marketing are time-consuming, labor-intensive, slower and less effective when compared to digital approaches like SEO for car dealers, as people nowadays prefer to check videos and user reviews online before they reach their final decision whether or not to invest in something. 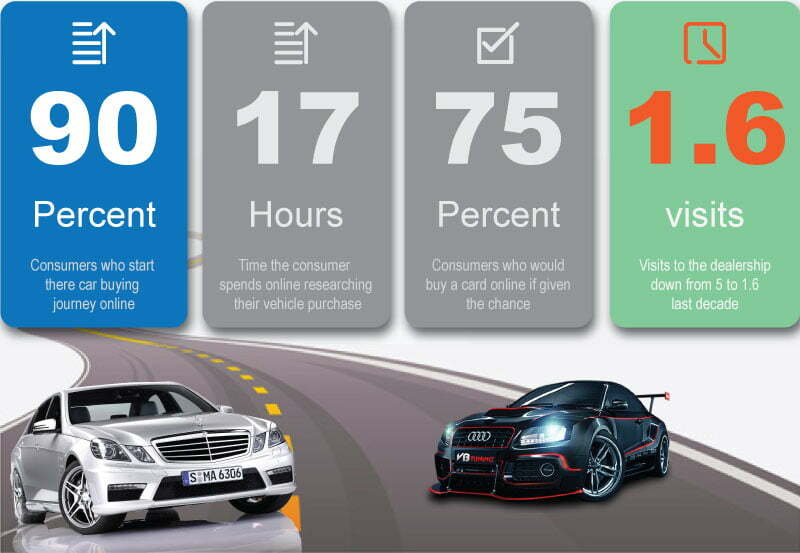 If that something happens to be a new car, the importance of automotive digital marketing becomes even more obvious. The car dealership industry is already pretty digitally advanced. The competition and market leaders of your segment already boast pretty impressive automotive digital marketing strategies and setups, courtesy of professional and specialized automotive SEO companies. Here goes a summary of the champs of UK Automotive industry. Take a careful look at the table and it will tell you how they are the bests of the market. If you have noticed carefully, you should see that the market leaders are pretty vibrant on the web. They are using the power of search engines and social media. We picked these car dealers from the list following one single KW on Google “Top car dealers in UK“. Now if you are not on that list, I am sure you have started to realize why you are not there. To make the realization a bit more clear, have a look at their stats and you will know why these awesome top car dealers are investing in digital marketing. A point popped up into my mind: If a person planning to buy his/her next car and start searching with ‘Top car dealers in UK‘ just like me, will you ever be able to have that customer if you are not appearing in that list? Why Do Car Dealers Need Digital Marketing On Top Of Their Traditional Marketing Strategies? The simple fact of the matter is – if you’re not using digital channels in your marketing plans, you are losing out big time. Auto dealerships simply cannot profit from traditional marketing nowadays as was the case in the past. They NEED the help of automotive marketing agencies. In fact, according to research by DealerSocket, “…traditional advertising methods like billboards, TV ads and radio spots bring in an average total profit of $1,702 per vehicle. 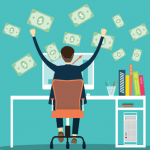 On the other hand, digital marketing channels and strategies bring in $2,514 per sale,” which is almost double. This means that dealers must go digital work with professional automotive SEO companies in order to target and successfully acquire new auto customers because consumers are increasingly researching and shopping across digital channels. Interacting with your audience and potential car buyers is slow and very difficult. Thanks to instant messengers, email and social media comments, dealerships can instantly connect with their targeted audience and increase car sales. It is nearly impossible to measure car advertising success empirically with older methods such as handing out brochures and ads in the newspaper. You are able to instantly measure and view all of the information – from bounce and conversion rates to the number of visitors and tools like Google Analytics. This allows for studying the success of car dealership ad campaigns and adjusting them any way you see fit. Even if your business is not restricted to a local-sized area, traditional automotive marketing only succeeds in reaching a local or regional audience at best most of the time. Online automotive marketing allows you to tailor your campaigns to specifically target and reach a number of different countries, regions and even demographics. This means you’re able to cater to your specific car buying audience very precisely. Television and newspaper ads are very costly for automotive advertising, which is also the case with paper and printing costs. The same goes for the costs of distributing ad material. Digital marketing is incomparably more cost-effective and allows the ads showcasing your dealership to be seen by a much broader audience. This means a lower portion of your budget brings in more business, which translates into a far better ROI. Ever heard of a car dealership’s paper brochure going viral? No, and you’re not going to because that’s not going to happen. Ever. Digital marketing is ideal for increasing awareness of your car dealership. Creating easily-shareable, high-quality content is important and easy as Facebook users generate 4 million likes each minute. With over a billion users, the opportunity for growth and engagement is almost infinite. Using billboards, newspapers, and radio to place car ads can not only feel like a nuisance for the most part but is often simply ignored by the targeted audience of prospective buyers. Online ads and posts showing what your dealership offers allow your targeted audience much more choice – they have the power to decide whether or not they want to see your car ads and comment on them or not. How Risky Is It To Invest In Digital Marketing For Your Automotive Business? It is very difficult if not borderline impossible, to accurately estimate ROI when it comes to traditional marketing methods. You have no way to collect data without using surveys because you’re unable to monitor your audience in real time. This means that you simply cannot edit your campaigns momentarily in order to cover up past decisions and choices. 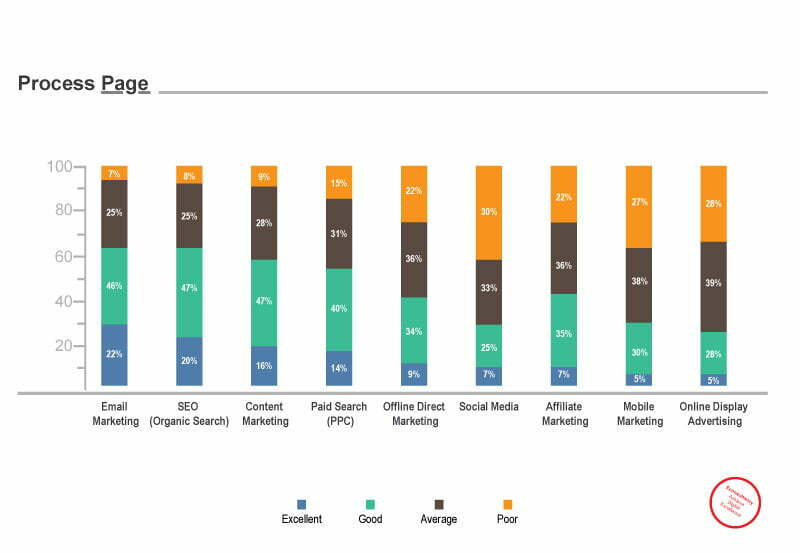 All this means that investments in traditional marketing are not only higher, but more difficult to control as well. Conversely, the scenario is almost exactly opposite when it comes to digital marketing, especially campaigns crafted with the help of expert automotive marketing agencies. You are not only able to control pretty much every aspect of your campaigns but edit them instantly at the same time. You have the ability to collect in-depth data, numerous feedback and automotive SEO reports can be used to guide your decisions in terms of the next best step in almost every situation. Simply put, you’re able to know everything about your audience and their tastes, preferences, and interests. This is an immeasurable help with your product development and subsequent marketing strategy. 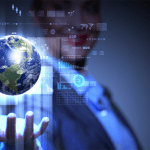 The point is – specialized, automotive digital marketing allows you to be in control of every single thing. Most importantly, however, it allows you to be in complete control of your investment. You always have the ability to set a fixed budget for your ad campaigns and secure it additionally with super-sharp audience targeting. You’re able to target the gender, age, location, interest, keywords and so many more aspects of your audience, meaning your investment is used in a much more secure and optimized way. This results in a much more certain ROI. The image means that 80% of the shopping touchpoints are DIGITAL. There’s a total of 24 touchpoints standing between the initial car-shopping phase of the user and their actual visit to your dealership lot. 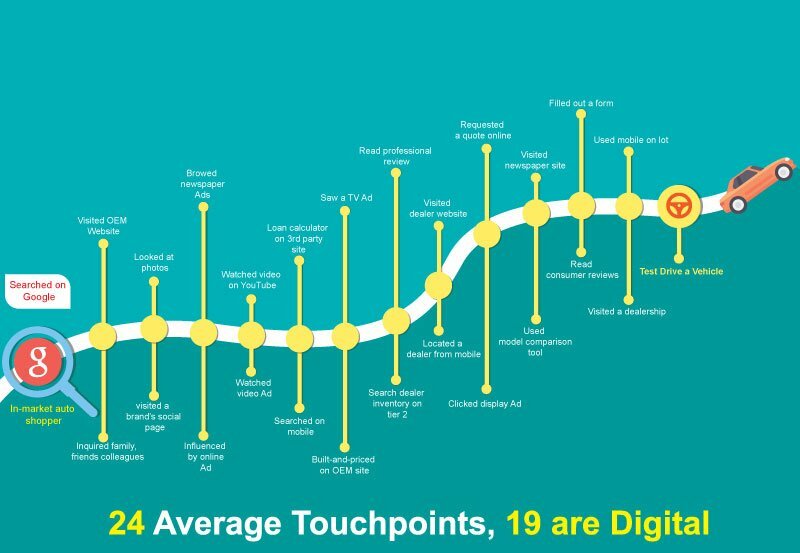 Out of the 24 touchpoints, as many as 19 are digital. The major ones include Google or search engine query (as a result of car dealership SEO), a financing calculator, an OEM website, your dealership’s website, Google reviews of local dealerships and ads. Think about this for a second: whenever you type something into Google, which links do you click on? In other words, do you scroll all the way over to the 10th page or do you maybe explore the top 5-6 links on the first page at best? Exactly. Now think about all those people who are thinking about investing in a new car and are using the same logic when searching on Google. What are the first websites they’re almost certain to visit? The top-ranked ones, or in other words – those that have invested in car dealership SEO. So, if you were to have a website for your car dealership business near the top or at the top of Google searches, surely you can already imagine the prospect of increased sales that would come as a result. Simple math, right? Another very important thing: LOCAL rankings are super-important for your car dealership website. Why? Because no customer will go to Montreal to buy a car if they live in Calgary. They will be looking to buy a car with minimum hassle, i.e. from a dealer that’s in their neighborhood. This means that when a customer types in “Best car dealer in Calgary” into Google, for example, your website needs to come up at the top of the search for obvious reasons. 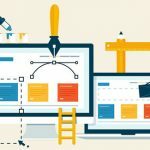 Does Your Website Follow The Frame Of SEO? How Can A Proper Analysis Help You? The frame of SEO is actually something like generating reports for your business based on your website. The reports themselves may appear overly technical, but that’s not the case if you just devote some careful attention to them. Brimming with numerical data, these reports can provide you with absolutely everything you need to know about your current presence on the web. More importantly, they’ll also tell you what needs and can be done to improve your online presence and overall car dealership marketing strategy. The absolute best part is, you’re able to know who exactly is visiting your website, how long they’re staying, which car posts they’re visiting, which ones are visited more frequently, which ones less frequently and plenty more information. This sort of automotive SEO data is crucial for understanding your potential market better and you’re able to use it for better planning, monitoring and tracking your progress. Such a detailed analysis and reports will also provide you with technical data about your website, which can be very helpful in examining the health of your site and whether or not you need to apply any changes like investing in professional SEO for car dealers. Another reason why this data is so incredibly important is because Google actually won’t rank a website that’s not technically sound. Put simply, a website needs to be relative to the subject, user-friendly, fast-loading and free from molecules codes in order to rank and rank high. The content on your site must be presented in a way that’s friendly for both Google and your targeted audience. Is your website user-friendly and fast-loading? Is it a friend of Google? Why Is It Important That Your Website Is Smartphone- And Mobile Device-Friendly? Google actually follows certain standards and procedures when it comes to how it ranks websites. One of the most important considerations is whether or not a particular website is mobile device-friendly; yet another aspect where car dealership SEO can come in handy. The reason for this is pretty obvious: we’re living in the age of “Mobile-geddon” and everything from your content, marketing messages and overall website simply MUST be optimized for mobile viewing. Consumers that visit non-mobile-friendly pages or sites quickly leave in search of a competitor who can deliver a more optimized mobile experience. Is your website mobile-friendly? Is it responsive? Is everything clearly visible while browsing from a phone? “1 in 4 car buyers talks about buying a new car on social media, with 38% of them saying they will consult social sites before they purchase a vehicle,” according to CMO Council. Social automotive customers are also very fond of Facebook, with “84% percent of them being present on the social network and 24% of them having used Facebook as a resource for making their vehicle purchases.” When looking for ways for the automotive industry to connect with new car buyers, social media is a hugely important funnel. Why is that? Because social media is brimming with real-time purchase indicators, in addition to allowing dealers to build loyalty to their brand, influence purchase decisions and improve the overall customer experience. When looking to make the most of social media channels, focus on different ones and share plenty of engaging content throughout different social media. Also, make sure post pictures of inventory, engage in conversations on your social pages, monitor social reviews and ALWAYS have your contact information easily accessible (phone, email, hours and location). Does your dealership business have its own YouTube channel? Does it have its own Facebook page? Are you posting on these social media sites regularly? Are you posts optimized for the correct keywords? As aforementioned, having your own YouTube channel is essential for growing your business and acquiring more new customers. Doesn’t sound right? “A research that Google commissioned from Millward Brown Digital indicates that 70% of people who used YouTube as a part of their car buying process were influenced by what they watched and viewed on YouTube of test drives, features, and options, and walk-throughs have doubled in the past year.” Hopefully, you’re not missing out on that 70% percent of your target audience! Building trust is always done best with reviews, but one must not forget SEO for car dealers as well. Written reviews are already pretty convincing, so imagine how effective videos can be. A picture speaks a thousand words, a YouTube is rightfully viewed today as the second-biggest search engine in the world. Google is actually encouraging people to generate videos, which leads to running ads on YouTube being one of the cheapest marketing strategies to date. There’s ample potential in there that’s just waiting to be benefitted from. Does your business have its own dedicated YouTube channel? The separate and unique features of each social media platform are becoming a decisive factor when it comes to targeting audiences and potential customers. While search engines are basically tools for searching the right data, social media are actually more of a boutique platform for their users. That means that opting to use social media in addition to focusing your efforts on Google and other search engines mean you’re able to choose between many more roads to reach your next car shopper. In other words, your business page will undoubtedly help you establish an identity for your business; however, running an ad will open the door for you to reach the biggest optimized market you could have dreamed of. Combined with properly executed car dealership SEO strategy, the possibilities are virtually endless and the absolute best part is – you’re in complete control of everything, including your investment. You can even go further and add character to your dealership business by creating interesting and creative ads that suit your specific needs. If you have a good and experienced guide (i.e. a professional automotive marketing agency) helping you along the way and ensuring you only make the right decisions, you’ll be able to increase your ROI both instantly or gradually – whichever you prefer. Have you ever run ads on any social media? If not, don’t you think you’re missing out on the biggest opportunity all of your competitors are already capitalizing on? 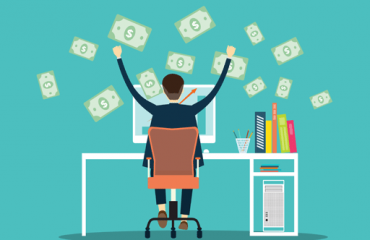 How Can Email Marketing Help You Win Over The Closest Prospective Customer? When you observe ROI (return on investment) alone, email campaigns actually represent one of the best digital channels for maximizing results. Why is this so? According to a study by Econsultancy, “the revenue generated from email marketing is rising, with 68% of companies ranking email as the best channel for ROI.” This means that emails are still the most trusted way to become engaged in communication – if you can win the trust of your next customer, that is. When talking about looking for daily updates, inboxes continue to be the most important and personal place to start one’s search. In other words, a potential client can easily skip a Twitter or Facebook post; but, this is not the case with an email – unless the person is intentionally choosing not to read it – and that is exactly where the email marketing strategy plays a crucial role. To clarify – there is absolutely NOTHING SURPRISING about these results. After all, people tend to spend over 30 hours a week reading emails, on average. So, email campaigns can be a huge help for car dealers who are serious about reaching potential car buyers with the use of this high-performing tactic. The thing is, you first need to learn how to generate your subscription list for prospective customers. My question to you is – did you send an email to your past buyers notifying them of the last post you did for that new car on your website/lot? What Is The Proper Way To Implement A Digital Marketing Strategy For A Car Dealership Business? 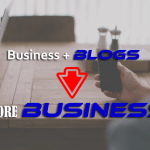 To be quite honest, you already pretty much know all the steps required for implementing a proper digital marketing strategy for your car dealership business – if you’ve read everything aforementioned, of course. If I were to provide you with a detailed, step-by-step manual that explains not only what you need to do in detail, but why you need to do it as well, that’s something that would be difficult. Not because I’m stingy or anything, but because it’s impractical: this a pretty long blog as it is and the last thing I want to see is you becoming irritated, tired or plain bored. A far easier way that can work for both you and me would be to allow me the opportunity to provide you with the expert knowledge you seek and at the same time, to demonstrate why and how having your business can be very lucrative for the both of us. You can request the PDF via the button below (We don’t share your info or send spammy emails) that shows you a bit about how we actually craft custom and effective digital marketing campaigns for our clients, or you can alternatively use this free guideline by yourself. Enjoy!